We will be gathering to kick off the Pill Bottle Cache Contest as well as earn a special souvenir for the Cache Carnival Promotion. The goal for this event is to gather the local cachers and talk about the cache containers they are planting for the contest, share cache planting tips, strategize about how to plant caches that receive favorite points, fellowship about caches found, and trade trackables. The event is at San Fernando in the back room, starts at 6:30 PM, and should be over by 7:30 PM. There is food and drink available. It is not compulsory to order anything but if you do it will be for your own account. We are challenging you to plant your best pill bottle cache. Pill bottle containers come in many shapes an sizes and we will not be too picky as long as it could be a pill bottle container. 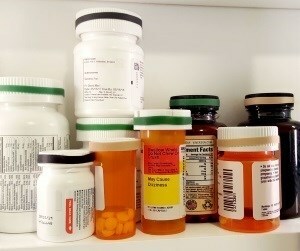 The pills bottle must contain the logbook but what you do with the container as to camouflage is up to you. Think outside of the box and have fun! Caches can not be published before 12:00 AM on Monday March 25, 2019. You can plant as many caches as you want as long as they are pill bottle caches. Non pill bottle caches will only be eligible for the lucky draw prize/s. To be eligible caches must be planted in NMB and surrounds - Nanaga to Kromme River. Caches will be judged in the following categories. Caches can be considered for any and all combinations of categories. Most Favorites: The cache with the most favorites wins. Ties will be broken by the highest favorites/premium logs percentage listed on the cache page. Highest Favorites Percentage: The cache with the highest favorites/premium logs percentage wins. Ties will be broken by the highest favorite points for each cache. Most creative cache: The container that is the most creative. Lucky Draw: Any entrant into the competition will be eligible, even if the container is not pill bottle based. The contest will run from March 25, 2019 until 23:59 on Friday September 27, 2019. The awards ceremony will be held soon after that at an event to be announced closer to the time. In order to join the contest, just put the following text at the beginning of the cache name, "PBCC". We will add them to the Pill Bottle Cache Contest Caches Bookmark List as we find them. You do not have to attend this event to participate. You simply need to plant a pill bottle cache with "PBCC" in the title. Please ask if you have any further questions and good luck! Please insert this exact text below with links into the bottom of your hides as well. You can view the source of the page and copy and paste the info or you can use an HTML editor. If you need further help, please contact me and I will try to be of further assistance. This cache is part of the Pill Bottle Cache Contest that started March 25, 2019. The caches with the most favorite points and favorite points percentage win! Be sure to check out all of the quality PBCC caches on the Pill Bottle Cache Contest Caches Bookmark List and if you like my cache, please consider awarding it a favorite point. Thank you! Thanks to elrojo14 for the idea.